Literally, not figuratively but literally, there is, has never been and probably never will be a finer motion picture than this. It is completely without flaws. Anyone who says anything like that is wrong. The Fate of the Furious is truly flawless. It is pristine. Impeccable. Sans error. If it doesn’t win the Academy Award and the Golden Globe and the Emmy (in anticipation of its being the best TV movie ever someday even though it isn’t made-for-TV), then clearly the judges are haters. Moviephobes. Anti-fun fascists. Let me put it to you another way – everyone who loves this movie is someone who has perfect taste in movies. Iwis, all the “great” actors pale in comparison to Vin Diesel and The Rock. Their nuanced performances leave nothing to be desired. There is nothing else to say except that Jason Statham does the greatest acting ever. Speaking of greatness, moviegoers will also be swept away by Charlize Theron’s indomitable thespianic power and majesty, something that adds infinitely to this cast’s already lavish embarrassment of riches. She plays her role of random cyber hacker to perfection, and my life is already better for having witnessed it. Of course, Michelle Rodriguez, Ludacris, Tyrese Gibson, and all the rest are superb. Anywho, the “family” theme is there, the crazy street racing is there, and, of course, the international-terrorism-busting-by-an-erstwhile-deadbeat-low-level-street-racing-squad is there. Isn’t it amazing that Dom’s crew managed to climb the ranks and now are a mixture of James Bond, the Mission Impossible team, and the Expendables? Yes, it is amazing. Basically, the Peter Principle doesn’t apply to thee guys. Of course, the absence of Paul Walker (RIP) does hurt the film a little. I’d say it probably decimates my rating, but reducing a score of “infinity” by 10% is still “infinity” so everything’s cool. 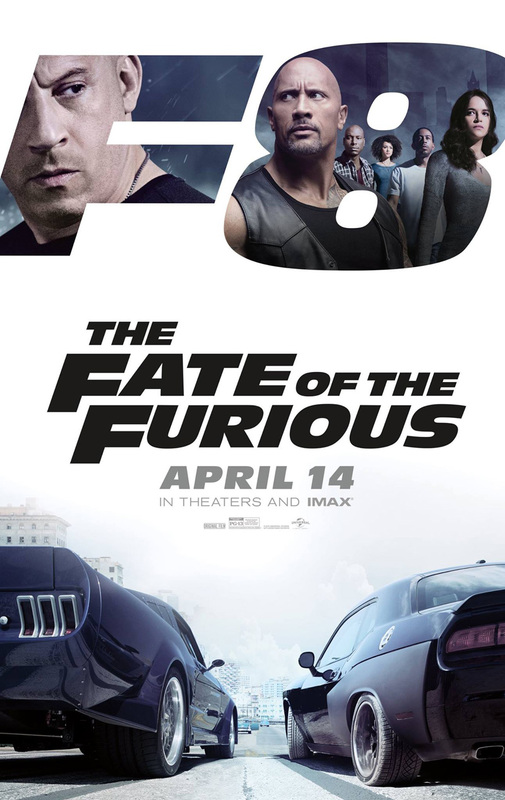 In the end, everyone owes it to himself or herself to watch this thing; it is greater than every other movie combined except for the other Fast and Furious movies, which of course it cannot be greater than because that would be like dividing by zero. I give it a F8 out of ∞. This movie is pretty awesome and very fun to watch! Very entertaining and lots of action!! Roman is funny as always. Also,love the fighting/rescue Baby scene at the end.